L.E. 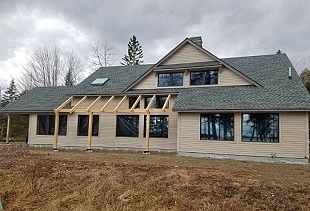 Nichols & Son, LLC is one the most distinguished and trusted custom home builders and remodeling contractors in Hancock and Washington counties Maine. L.E. Nichols & Son LLC is owned by Matt Nichols, whose father, Larry Nichols, started the business over 41 years ago. As general contractors, L. E. Nichols & Son continues the tradition of building fine homes or renovating an older home, while operating the business with integrity and a firm commitment to quality and customer service. 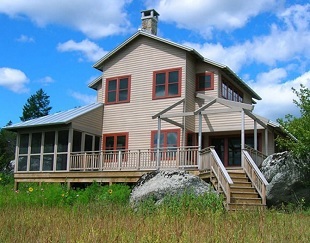 It takes much more than concrete, lumber, shingles and nails to build a new home. Planning, teamwork, good sub contractors, and a good project strategy are critical components too. These are the "tools" of a building contractor and L.E. Nichols & Son bring you all of these and much more. After more than 41 years in business, we have fine-tuned an approach to building your new home based upon open honest communication and being accessible to our customers. We take great pride in our work, and we’re especially proud of our relationships with our clients. Many have become repeat customers, as well as friends. Our attention to detail, personal service and flexibility allow us to offer the special touches and extra effort that will make your remodeling experience unique. 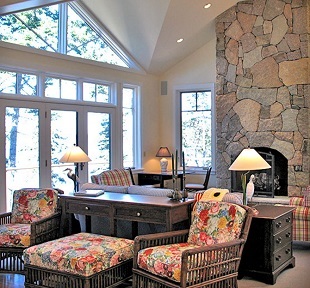 We have three decades of background working in Maine homes and understand the challenges and opportunities that they present. With L. E. Nichols you will find the flexibility and creativity throughout the building process that will allow you to clearly see and prioritize the parameters of your project. 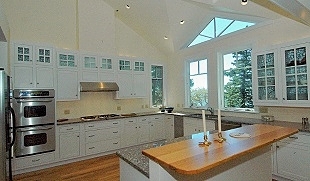 L. E. Nichols & Son will also help you achieve your remodeling goals, priorities and budget every step of the way. Using old world craftsmanship with state of the art construction materials L. E. Nichols will build you a new space that not only looks great, but adds value to your home. To learn more about L.E. Nichols & Son, LLC services, call 207-598-7899.